New Delhi - Google Tuesday launched the Nexus 6 smartphone which will be available from Wednesday at a premium price of Rs 43,999 in the country. The company launched the smartphone as part of its great online shopping festival (GOSF), that will take place from December 10-12. Apart from Nexus 6, Google launched Chromecast for Rs 2,999 and introduced some other products of companies like Lenovo, Asian Paints, Tata Housing and Van Heusen for GOSF. "The GOSF's first edition took place in 2012 with 90 merchants and this year, we have 450 merchants. Consumer confidence to shop online is on the rise in India and in the last few weeks, over 5 million users have visited to gosf.In site," Google India Managing Director Rajan Anandan told reporters during the launch. 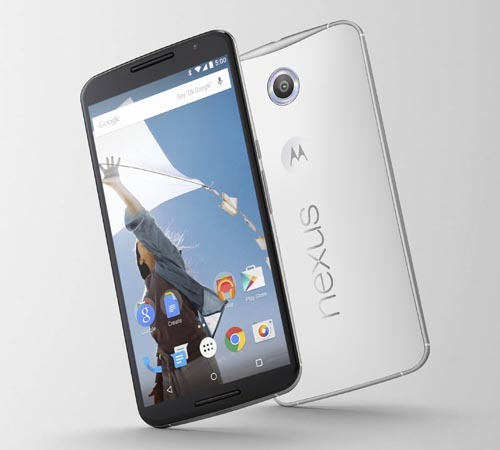 Nexus 6 will be available exclusively on Flipkart for Rs 43,999 (32 GB) and Rs 48,999 (64 GB) versions. For Chromecast, Google has partnered with Bharti Airtel and Snapdeal. Existing broadband users of Airtel can access 60 GB of data for three months when they purchase a Chromecast, while new customers can get the same, and zero activation fee for their new broadband service. Google said GOSF has been introduced with an objective to promote online shopping in India and the festival has been embraced by leading brands and e-Commerce players as a leading platform to engage buyers across all categories.